Situated off the main road in a quiet area of Kerkira The Mare Boutique Hotel is an adults only 4* hotel with stylish dÃ©cor throughout. Recently renovated in 2009, this warm and luxurious hotel offers its guests a peaceful and relaxing stay with a cosy atmosphere. The hotel is situated on the beach and close to the resort of Dassia, in a large olive grove which is surrounded by beautiful landscaped gardens. 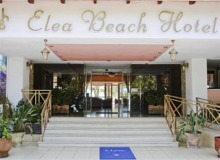 The Elea has a prime location on a Blue Flag award-winning beach between the Club Med and Chandris Hotels. 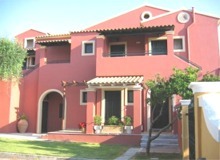 Located within the historical cliff of Kanoni, 4km from the center of Corfu town. Situated in a stunning and privileged position with beautiful beaches and spectacular views of the island. Ipsos runs parallel to the main coastal road with your typical tourist shops on one side and the beach on the other. It is popular with younger visitors and it has a lively feel to it. Recently renovated this hotel lets you relax in 5 star luxury surroundings and soak up some of the incredible sun that Corfu is known for. 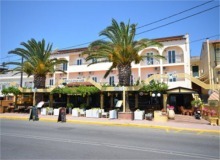 Situated in an absolutely incredible location right on the sea front this is perfect for those sun-seakers wishing to spend their days by the Ionian Sea. In Corfu Hotel Bella Mare hotel everyone will find something for himself. Also it is the best place for relaxing holidays. All apartments are soundproofed and offer balconies or patios and hair dryers. In addition to kitchenettes with refrigerators, guests will find TVs with cable channels and sitting areas. The Aquis Sandy Beach Resort is located in Agios Georgios, in South West Corfu. Smack bang on the beach, this is a great hotel to fly n flop at! An impressive location right by the sea, the Costa Blu is an adult only hotel offering attractive spacious accommodation in colourful surroundings and magnificent views to the sea. 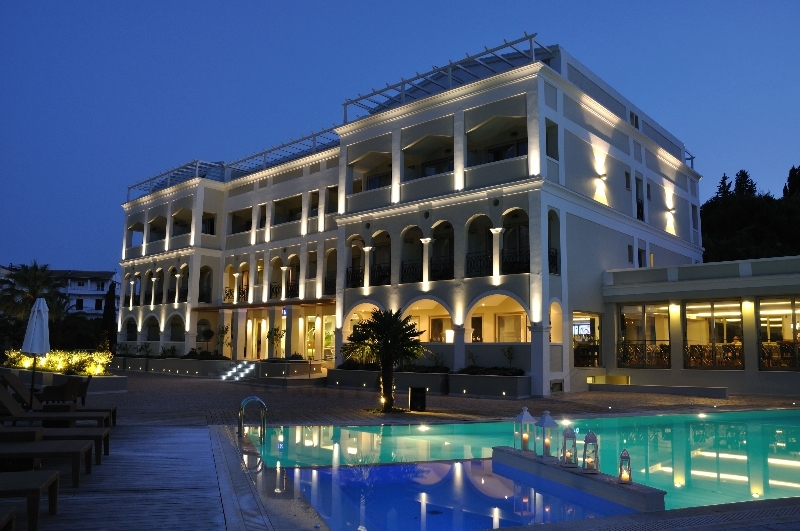 The Grand Mare hotel is 12km from the quaint town of Corfu and only 9km from the airport. There is a regular bus service. The pretty fishing village of Benitses is a short stroll away. Grande Mare Hotel has its own beach only few meters down the road. 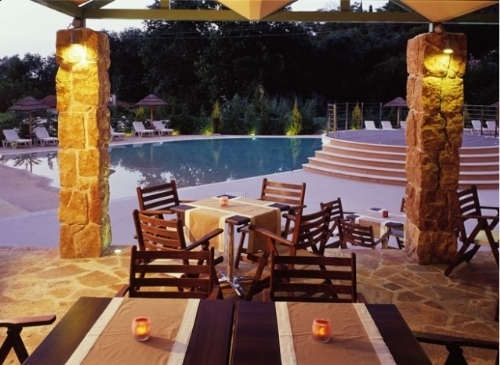 Set in an area of 130.000 sq.m., 35km north of the town of Corfu and just 1km from the picturesque village of Sidari, the Rebecca's Village Hotel offers breathtaking view of the sea and the mountainside. There is also an abundance of restaurants, cafe's, bars and nightlife nearby. Summertime is located in Sidari, in the north of the island of Corfu in Greece. Northernmost of Greece's Ionian Islands, Corfu is green and fertile, with picturesque mountain scenery surrounded by gorgeous yellow sand beaches.